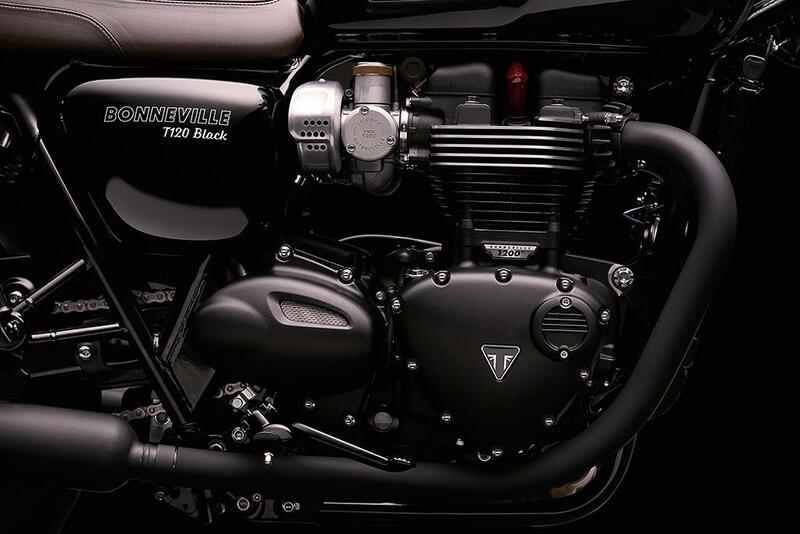 The all-new Triumph Bonneville T120 and T120 Black are the two models that will strike the most authentic chord with Bonneville fans, and are the direct replacements for the current Bonneville and T100. 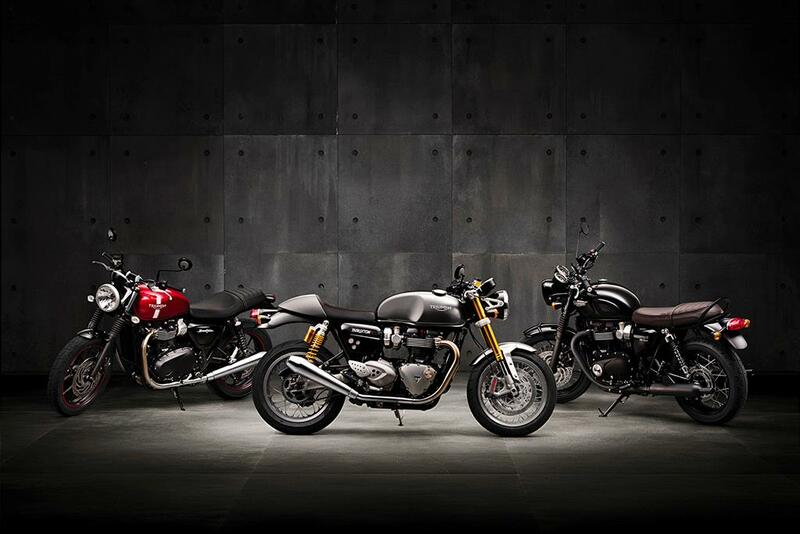 The new T120 joins the equally new Thruxton and Thruxton R, and another fresh addition to Triumph's classic range, the Street Twin. 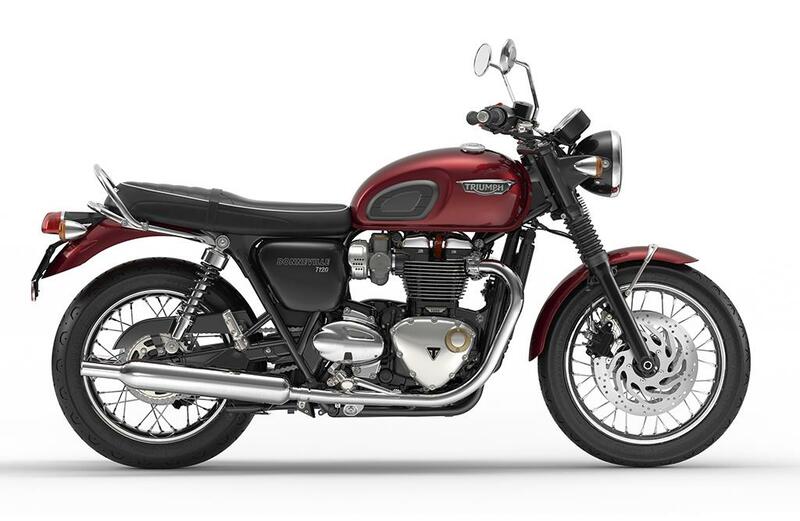 Triumph are pitching the T120 as their latest take on the original Bonneville, also rekindling the T120 designation first used in 1959, while also making a big deal of the quality, fit and finish – and the modern performance on offer from the 1199cc ‘high-torque’ variant of the all-new water-cooled parallel-twin. Like the rest of the Bonneville range, the bike is a completely new design and there’s not a single part shared with the outgoing model. This is a modern classic reborn and is aimed at taking on the ever-burgeoning group of rivals in the class. 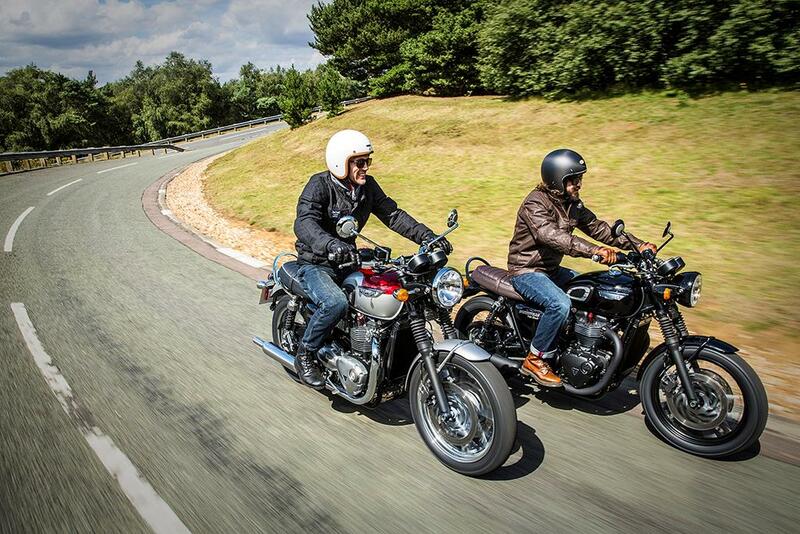 Just like the Thruxton pairing, there are two Bonnevilles in the 2016 range, a Bonneville T120 and T120 Black, each using the same water-cooled 1199cc engine, producing a healthy 77ftlb of torque at 3100rpm – which represents a huge 54% boost over the outgoing T100’s figures. 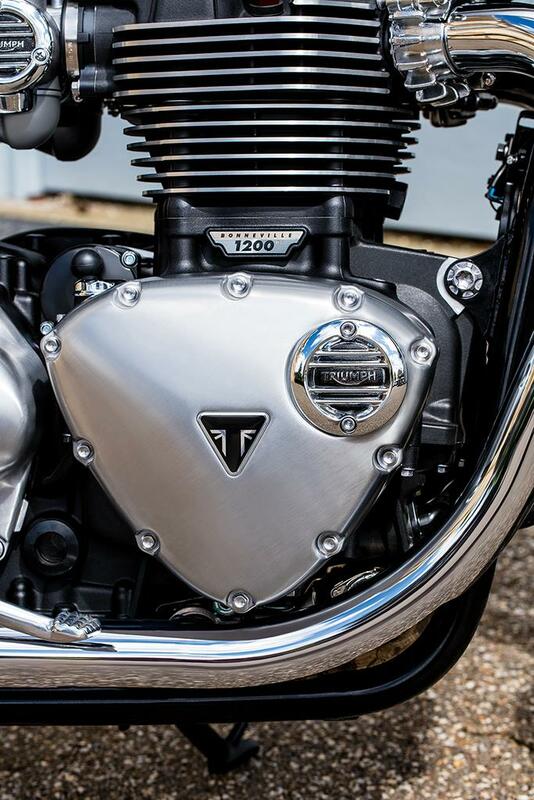 Compared to the more powerful engine in the Thruxton, the engine in the T120 has a heavier crank and lower compression ratio, but the same 270 degree firing order. It also features a pair of classically-styled peashooter exhausts with the same twin-walled design seen on the Thruxtons. 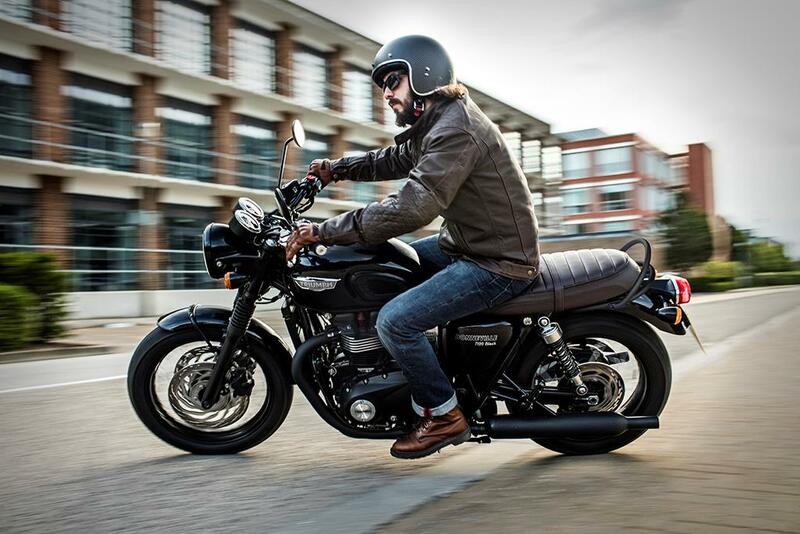 Also evident, in common with the other new models, are ABS as standard, a ride-by-wire throttle, switchable traction control, adjustable riding modes, a slip-assist clutch for a much lighter lever action, LED rear light, heated grips, a USB charging socket and twin clocks with a digital panels. 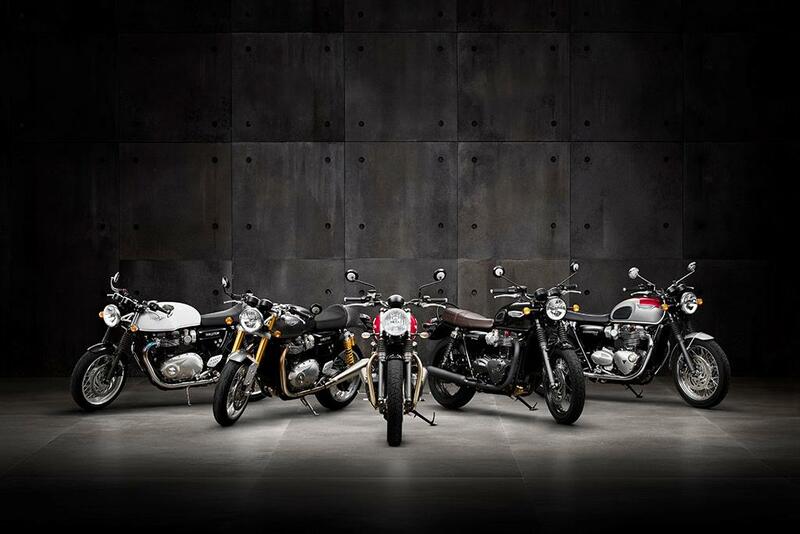 Triumph say: “The interest and appeal of modern classic motorcycles is growing and evolving quickly, with many manufacturers bringing new models onto the market. From the rider’s perspective, they want beautiful motorcycles with real character, combined with contemporary levels of refinement and capability. 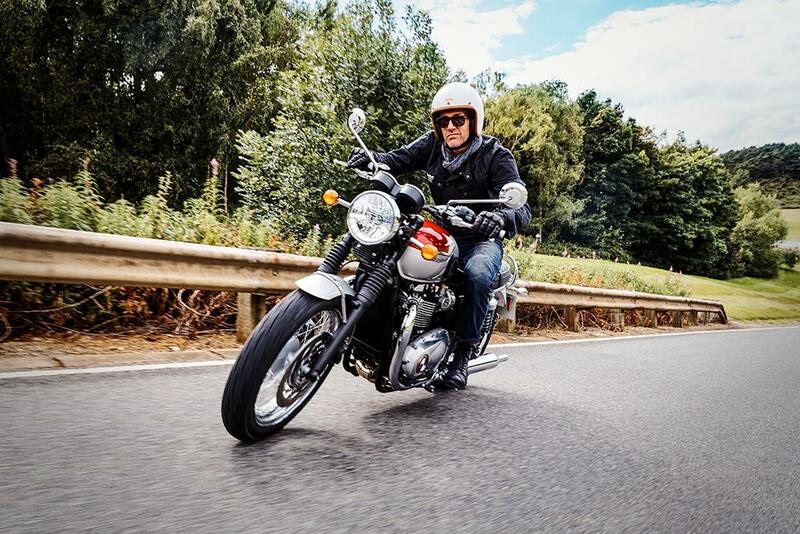 “Our new Bonneville family takes the legendary story on to the next chapter - with a major injection of performance, and real riding capability, without losing the original character of the Bonneville, and without becoming a techno reinvention with just a styling nod to the past. “They are what our customers have asked for and what the next generation of Bonneville should be - more beautiful, more powerful and more capable. 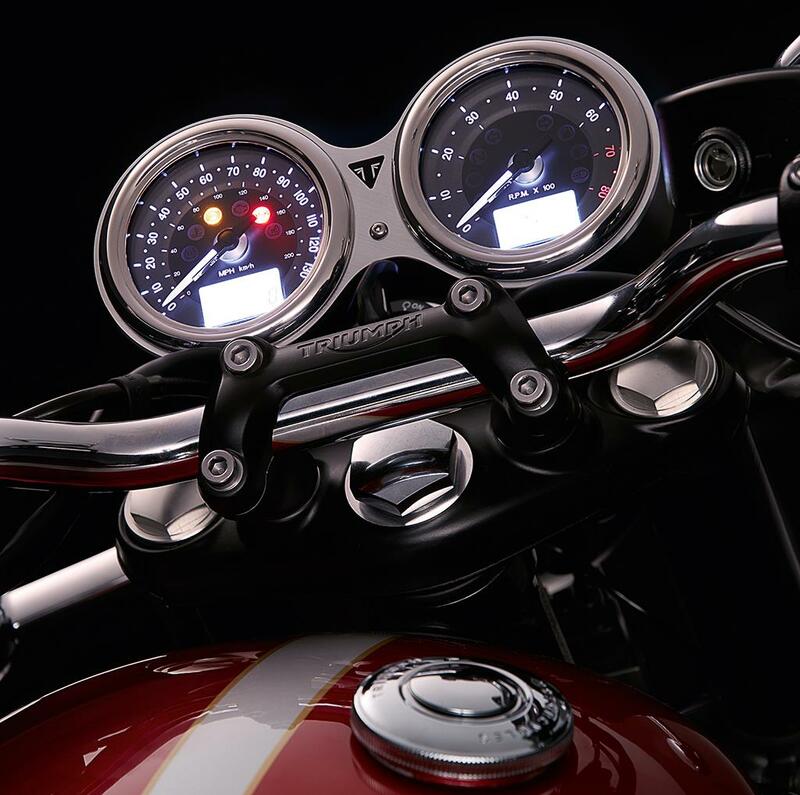 The T120 is available in four classically inspired colourschemes: red and silver, black and white, all black and all red. No prices have yet been announced for any of the new classic range but MCN expects both T120s to be in the ballpark of £9899. A heavier crankshaft and a lower compression ratio gives the ‘High-Torque’ version of the new 1199cc parallel-twin less power than the motor in the Thruxton models, but it more suits the character of a bike that is aimed at modernising the classic roadster rather than setting lap times. settings, range to empty, fuel level and MPG. 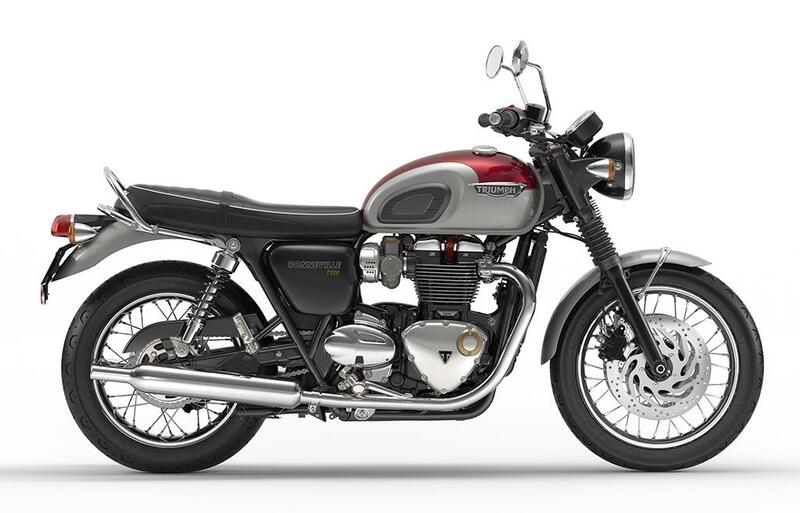 Inspiration from the original Bonneville is clear in the overall bike’s silhouette, the lines of the fuel tank, lights, twin clocks and the engine cases. 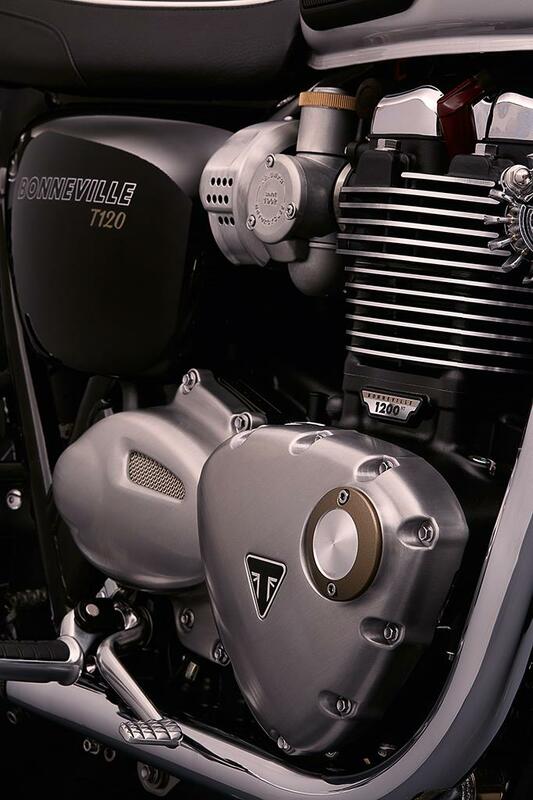 One of the key markers of the original Triumph Bonneville in 1959 was the fitment of twin carburettors on a two-cylinder bike; not something that sounds like a big deal today but as a nod to the history of the bike Triumph have designed the throttle bodies to look like twin carbs. The T120 and T120 Black aren’t about high performance, so a set of relatively standard two-piston Nissin front brake calipers with twin discs do the stopping work. ABS is standard, as it has to be on all new bikes from 2016. The twin-walled exhausts work especially well on the more classically styled T120 as they look like those on the older bikes and keep the catalyser box nicely hidden away under the engine. Pirelli Phantom tyres keep faithful to an old style of tyre but are very much modern construction and compound to keep the handling sweet.. 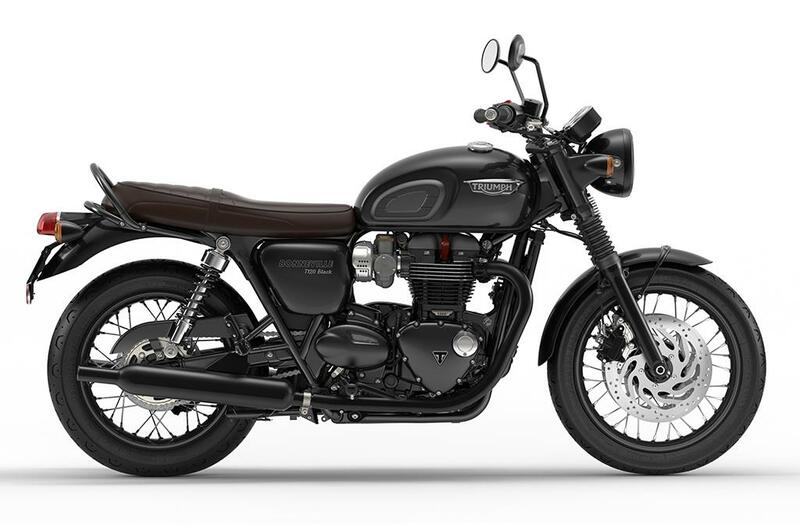 The Bonneville T120 Black is essentially the same bike as the new T120 Bonnie, but aimed at a more urban customer, with its fully blacked-out colourscheme and dark brown seat. 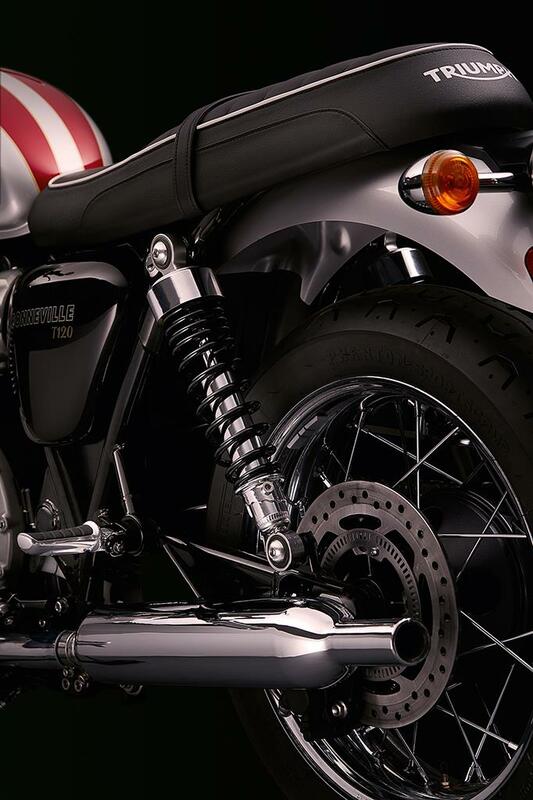 The blackness extends to the wheel rims, grab rail, exhaust and engine cases to give the bike a much more contemporary look over the very classic-looking standard T120. 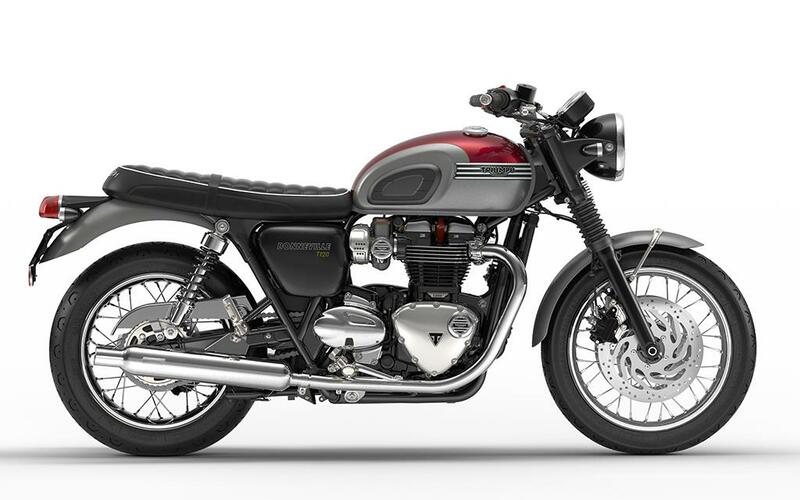 As with all of the new Bonneville range, Triumph have created a long and varied list of accessory parts to enable owners to customise and tweak the appearance of the machines as much as they might want. There is also a T120 Prestige inspiration kit, which gives the T120 Bonneville an even more heritage feel, and includes: a chrome four-bar tank badge, ribbed and stitched black set, black LED bullet-shaped indicators with clear lenses, chrome Vance & Hines peashooter exhausts, black barrel-style handlebar grips, chrome chain guard, alternator cover and throttle body covers. 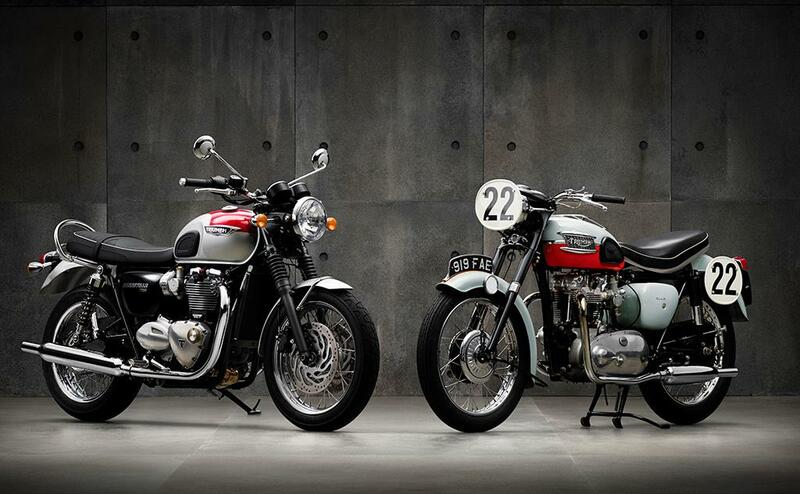 See more on the Triumph website.